Ahead of the festive season, Honda has begun rolling out updates to its two-wheeler range in India. Don't hold your breath. Just yet. These are Honda's sticker and paint updates which the company has been doing to the CBR range since 2013 and to other motorcycles thereafter. While a few days back, the Dio and CD110 Dream received these "updates", this time it is the Honda Dream Yuga. 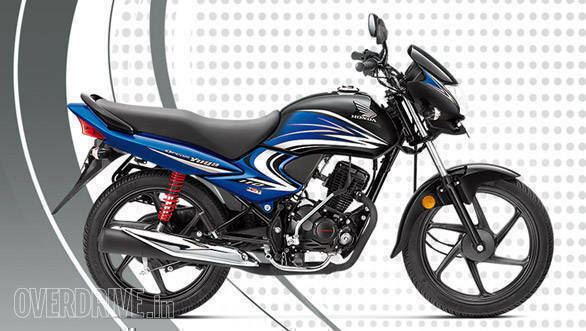 The Honda Dream Yuga is now available in a black and blue dual-tone colour. The motorcycle is priced at Rs 55,642, ex-Mumbai, the same as the five other colour options available. "Customers are looking for more options in terms of modern styling and greater performance in the commuter segment. Dream Yuga leads Honda's Dream series motorcycles which are proven, reliable, easy to maintain and highly fuel efficient. The new colour will bring in additional youthfulness to the Dream Yuga," said Yadvinder Singh Guleria, senior vice president, sales and marketing, Honda Motorcycle and Scooter India Pvt. Ltd. The Honda Dream Yuga was the company's second attempt at the 110cc motorcycle segment in India, the first being the CB Twister. Honda showcased the Dream Yuga at the 2012 Auto Expo and launched it shortly thereafter. In 2013, Honda added HET to the Yuga, making it a claimed 2kmpl more fuel efficient than before at 74kmpl. Powering the Honda Dream Yuga is a 110cc 8.3PS/8.6Nm air-cooled single-cylinder engine. This engine is mated to a 4-speed transmission. Cycle parts of the Dream Yuga are coated in black. At launch, the motorcycle was billed as the most affordable option from HMSI's stables. After that, Honda launched the Dream Neo and then the CD110 Dream (which currently is the cheapest Honda one can buy). The company also recently announced that it is in the process of getting its entire motorcycle range to meet the upcoming BS-IV norms. The vehicles will also be fitted with Always On Headlamps (AHOs). HMSI also confirmed that it would not launch the CBR250 RR, the CBR300R or other motorcycles from the CBR range. The next big bike from HMSI will be the Africa Twin, sometime next year.